Snuggled in the heart of the world famous North End, Al Dente Restaurant lets you feast on a bountiful array of Italian specialties. The outstanding menu, featuring pasta, chicken, veal and seafood, highlights a spectrum of lavish Italian specialties that are sure to please discriminating palates. The open kitchen lets you in on the action behind the superb dishes, and you'll enjoy their lavish fare amid a cozy, casual setting. Fresh sautéed broccoli, mushrooms, artichoke hearts, red and yellow peppers and spinach, in a garlic infused extra-virgin olive oil. 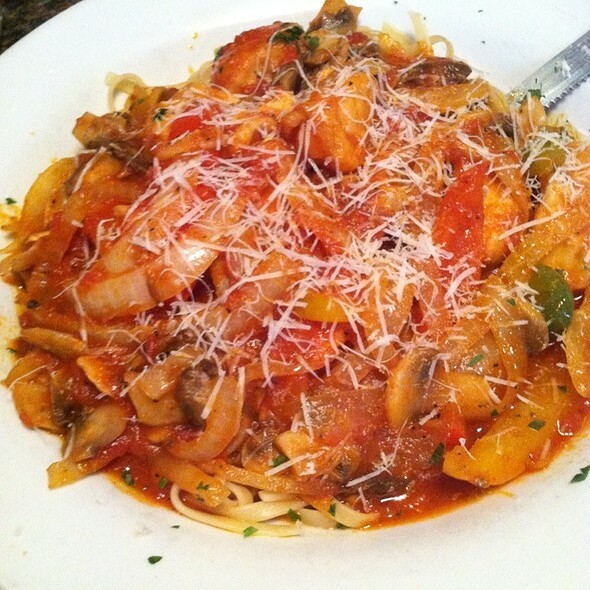 Large shrimp sautéed in olive oil, garlic, diced tomatoes in a white wine garlic butter sauce. Fresh broccoli, dipped in egg batter, pan-fried and served with a lemon wedge. Fresh PEI Mussels sautéed in white wine, garlic, and simmered in our classic plum tomato sauce. Toasted country-style garlic bread with fresh tomatoes, basil, garlic and extra-virgin olive oil. Baby eggplant rolled and stuffed with fresh ricotta, baked and topped with mozzarella cheese and marinara sauce. 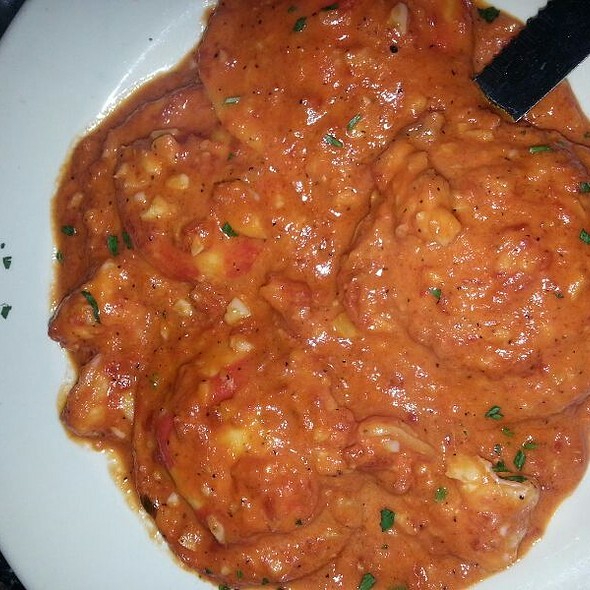 Fresh cheese and lobster ravioli prepared in a light marinara sauce with shrimp, a touch of cream and pecorino romano cheese. Large shrimp dipped in egg batter, pan-seared and finished in our classic orange liqueur glaze. Add to any salad: Grilled Chicken - $4.95, Grilled Shrimp - $6.95. Beefsteak tomatoes, fresh mozzarella cheese, onion, basil, extra virgin olive oil, salt and pepper. Prepared to order; a variety of meats, aged provolone and iceberg & romaine lettuce with vegetables. Fresh romaine lettuce, romano cheese and homemade croutons, tossed in our classic homemade dressing. Spring mix of baby greens, tomato and onion. Please allow a little extra time. All dishes cooked to order. Your Choice of the following Pastas: Penne Rigate, Linguine, Fettuccine, Cavatappi (Spiral), Farfalle Fresh Pasta...Add $3: Gnocchi, Fusilli, Tri-Color Tortellini If you don't see what you like, please ask your server. Classic tomato sauce simmered with selected ground beef, veal and pork. Spicy plum tomato sauce sautéed with pepperoncini. Traditional tomato sauce with fresh tomatoes, onions, garlic and white wine. A mixture of pancetta (Italian bacon), onion, pecorino romano cheese and tomato sauce. A cream sauce with heavy cream, butter, egg and fresh parmesan cheese. Fresh tomato and onion in a zesty marinara sauce with vodka, a touch of red pepper, tossed with heavy cream and pecorino romano cheese. Our homemade tomato sauce with fresh basil and an assortment of pecorino romano, mozzarella, provolone and ricotta cheeses. A classic Genovese sauce of fresh basil, olive oil, pignoli nuts, garlic, cream and pecorino romano cheese. Spring vegetables sautéed in a white wine garlic butter sauce or cream sauce, and romano cheese. A rich sauce of pancetta, butter, black pepper, heavy cream, egg and parmesan cheese. A spicy plum tomato sauce, capers, anchovies, white wine and olives. Large ricotta cheese ravioli, in our homemade marinara sauce. Fresh PEI mussels sautéed with white wine, garlic, and simmered in our classic marinara sauce over linguine. Fresh fusilli pasta with sautéed shrimp in a garlic white wine butter sauce, with fresh diced tomatoes. Fresh swordfish, lightly egg-battered, pan-fried and baked. Topped with fresh julienne vegetables in a lemon caper sauce, served over risotto. Large shrimp sautéed in olive oil and tossed with fresh broccoli florets, penne pasta, and romano cheese in a white wine garlic butter or cream sauce. Fresh countneck and chopped clams sautéed with white wine and garlic with choice of red or white sauce, served over linguine. Fresh countnecks, PEI mussels, shrimp, scallops and chopped clams, white wine, garlic and simmered in our classic marinara sauce served over fettucine. All Chicken/Veal dishes served over choice of pasta. Boneless chicken scallopini breast sautéed with fresh mushrooms and ham in a marsala wine sauce. Boneless breaded cutlet pan-fried, baked in our homemade marinara sauce and topped with fresh mozzarella cheese. Boneless medallions simmered with red and yellow peppers, sweet onions, fresh mushrooms, white wine and rosemary in a plum tomato sauce. Boneless breast lightly dipped in egg batter, pan-fried and sautéed in white wine lemon butter sauce. Classic boneless medallions, sautéed with fresh broccoli florets, and penne pasta in a white wine garlic butter or cream sauce. Veal scallopini sautéed with fresh mushrooms and ham in a marsala wine sauce. Breaded cutlet pan-fried, baked in our homemade marinara sauce and topped with fresh mozzarella cheese. Veal scallopini layered with prosciutto and mozzarella cheese, spinach, mushrooms and sage in a white wine garlic butter sauce. Veal scallopini layered with prosciutto and mozzarella cheese with artichoke hearts and mushrooms in a marsala wine sauce. Veal scallopini dipped in egg batter, pan-fried and simmered in a white wine lemon butter sauce. Veal scallopini layered with eggplant, prosciutto and mozzarella cheese in a dry vermouth mushroom sauce. 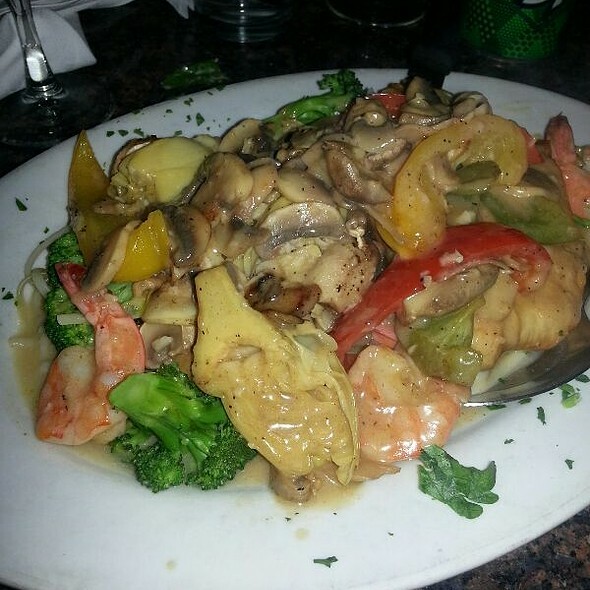 Sautéed scallopini of veal, chicken and shrimp, fresh broccoli florets, mushrooms, red and yellow peppers and artichoke hearts in a white wine garlic butter sauce, served over choice of pasta. Fresh potato gnocchi tossed in a plum tomato sauce with sundried tomatoes, capers, basil, pecorino romano cheese and parmesan cheese, mushrooms and white wine. Fresh, tender veal stuffed with prosciutto, roasted red pepper, mozzarella cheese and garlic, rolled, breaded and panfried, served in a white wine mushroom pink sauce and roasted red pepper risotto. Large shrimp and sea scallops sautéed in olive oil and served with homemade fusilli in our classic vodka sauce. Boneless breast layered with prosciutto and fresh mozzarella, spinach, mushrooms and sage in a white wine butter sauce. Fresh cheese and lobster ravioli prepared in a light marinara sauce with shrimp, a touch of cream, pecorino romano and parmesan cheese. Chilean sea bass pan seared and baked with sundried tomatoes, capers, mushrooms, fresh herbs and white wine, served over risotto. Honey walnut crusted pork tenderloin, lightly seasoned, pan-seared, baked in a madeira prune sauce and served with spinach and mashed potatoes. 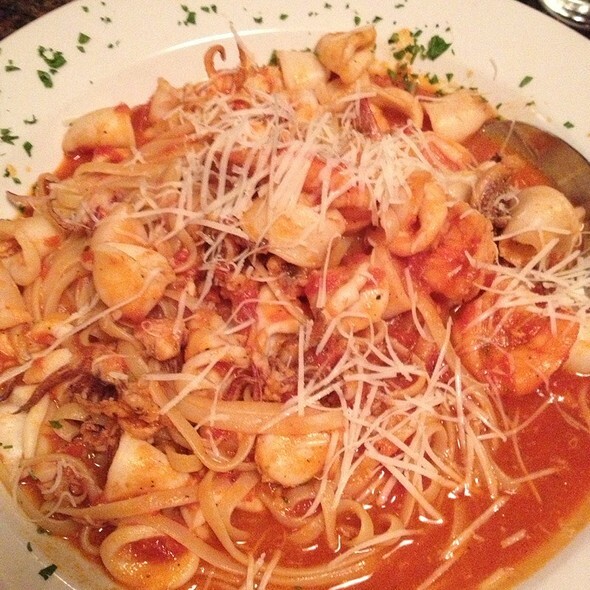 Large shrimp and calamari, sauteed in olive oil, served in a spicy marinara sauce, white wine and served over linguine. 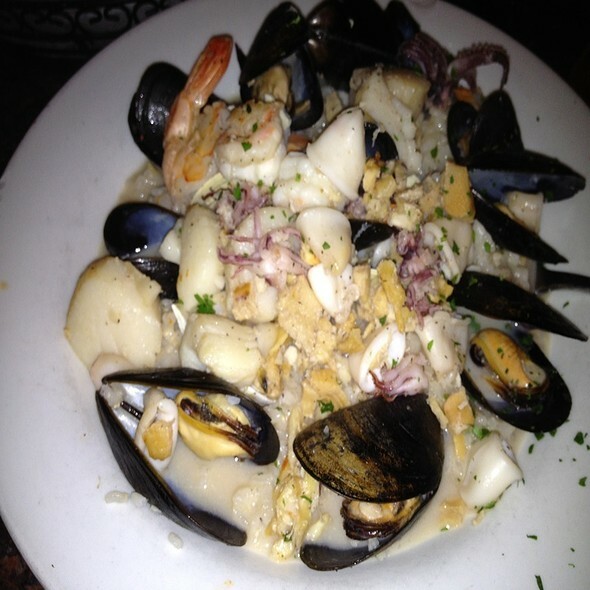 Fresh calamari, littleneck clams, mussels, shrimp and scallops sautéed in olive oil, simmered in white wine and garlic, served over risotto. Boneless chicken stuffed with prosciutto, fresh mozzarella, spinach, roasted red peppers and garlic, rolled and pan-seared, served over roasted red pepper risotto in a gorgonzola cream sauce. Lightly egg-battered and pan-fried, layered with marinara sauce, baked with fresh mozzarella, served over choice of pasta. Love Al Dente! Delicious food, big portions, everyone is very genuine. I have been going to Al Dente for 15+ years. Always a great meal. Angela is the greatest server ever. Always makes you feel welcomed and makes sure meal is done right!! Best restaurant in North End! We had a party of 12 and the food, drinks and service were wonderful. Angela and Bella were our wait staff and did an outstanding job accomodating our group. Al Dente is our go-to place for dinner in the North End. I highly recommend. Good food and service. The place is fairly small and moves quickly. We received recommendations for this restaurant from Boston locals and tourists alike. Probably because the food was great. So that's a plus, but it was made into an incredibly awkward dining experience by a very rude server who we first encountered when walking in. Nobody was at the door to greet us so we stood there for several minutes waiting, then when she finally comes over she very rudely demands we go stand outside in the cold and "talk to the doorman." There was no doorman there. Had there been, we would've talked to him. Then she barks at us rudely "Then just wait for him!" Um, great experience. We were there on time for our reservation, yet they weren't ready or prepared for us. A man who I presume to be the owner was incredibly nice and helped smooth things over as we were prepared to leave and dine elsewhere. All night we got horrible glances and rudeness from that server - thankfully she wasn't our server but she did bring drinks over. It's unfortunate this restaurant which seems to be a nice place is ruined and made into an unwelcoming environment by its serving staff. Would never recommend this place for that reason. Our first visit and it was very good, so therefore expect to wait even with reservations. What is ideal is the adjoining restaurant with bar, go there until called they work together. We started dinner with mussels marinara which were very good. My wife ordered the raviolis and I had ziti broccoli rabe and sausage, both very good. They don’t serve desserts but a complimentary shot of limoncello was a nice finish. Serve was attentive and we didn’t feel rushed. Great little place. Food was good. Service was fast. Our waitress was very good. Does get a little loud so maybe not the best choice for a romantic dinner. Great food and the staff is exceptional! We will be back! We found Al Dente to be a good but not great Italian restaurant (I was born in Italy so my expectations are on the high end). The plusses are that the pasta I had was home made and good (I suppose it better be when you call yourself Al Dente). 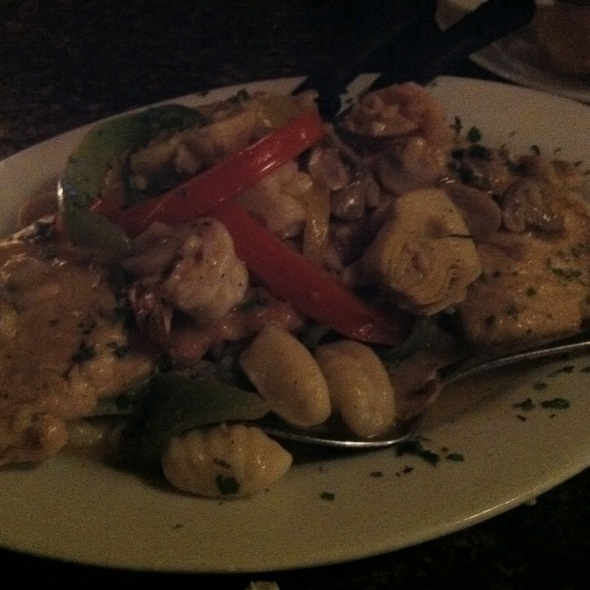 The portion was very large (bordering on too large) and the scallops and shrimp included were large and plentiful. The taste was a bit bland. My wife ordered the Chicken Parmigiana. Again the portion was huge (great to carry home if we hadn't been staying in a hotel), the flavor was good but not great. Al Dente is a fine rustic southern Italian restaurant. The portions are large, the prices quite fair for the north end and the service was prompt and friendly. 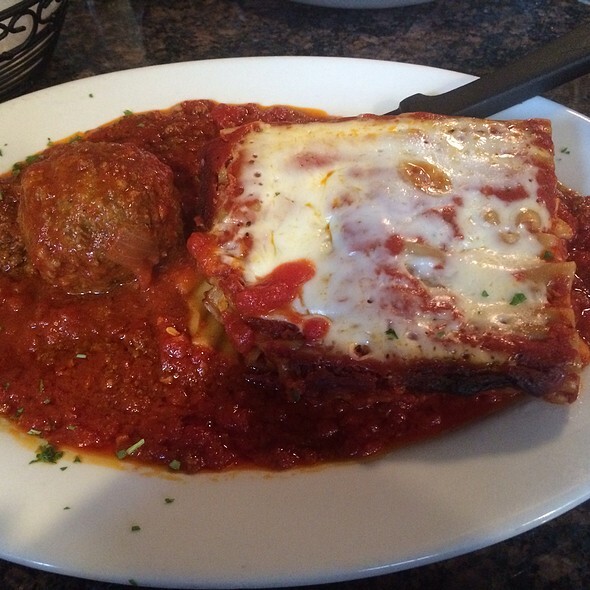 For a casual Italian meal with a large to-go box, one will be pleased and get a good value. If you are looking for fine dining Italian food, there are better options in the North End in my opinion. Great place to go the night before the marathon! Fast service with a reservation and great food! Very small and noisy. Not a place for a relaxing meal. Food was okay but have found other places in Boston to be better so far. Only thing memorable was our waitress. This is a classic North End restaurant— excellent food, busy, noisy atmosphere, and an intimate setting. The wait staff are personable & attentive. Be prepared to wait, even when you make a reservation— a tribute to this restaurant’s popularity. 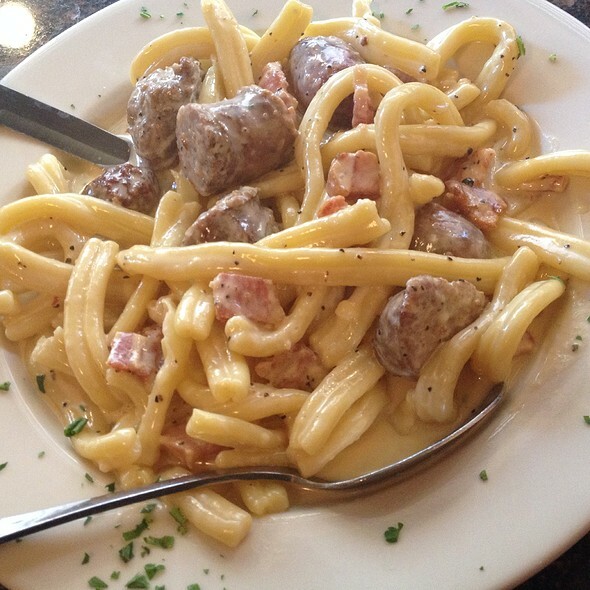 The pasta is excellent— homemade, but still has that satisfying chewiness that gives the restaurant it’s name. Great place I've been to many times - sisters fav so birthday dinner was in store! Very friendly, food consistently good and service has that true Boston Northend feel :) Definitely not the romantic spot but good food with good friends and this is thumbs up! Greeted by the charmingly brusque host on the street who worked us in an hour before our reservation. Great bruschetta and solid drinkable wine list. Joanne, our waitress, was hometown Boston charm personified. Excellent recommendations and tons of vegetarian options. Highly recommend! Our waitress JoAnn was AWESOME!! They didn’t have our reservation which was made through OpenTable. We (3 of us) had to wait in a very awkward and tiny entryway (5x5) while our table was readied. The host asked us to grab the menus because we would have had to leave the restaurant for her to be able to retrieve them. The service was quick and efficient (the best part of our experience). You have to pay extra for fresh (vs boxed) pasta. Why boxed pasta in the north end. 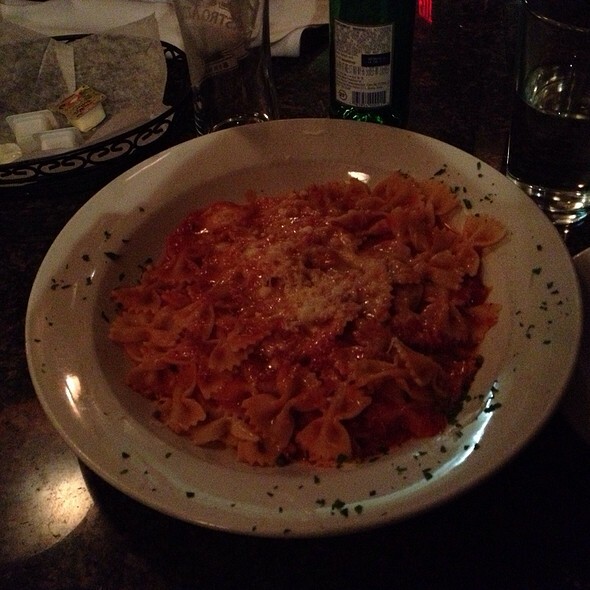 I ordered the fusilli (fresh) with vodka sauce which was good. Our other two meals gnocchi and cacciatore were disappointing due to their base red sauce. Great experience, bread and dipping oil to die for. Nice wine list. Great servers, extensive menu for a smaller restaurant - this is the true 'old school North End experience.' We will be back! Fantastic meal. Service terrific. Value excellent! It was like I was eating my Nonnas sauce!! Best Risotto I have ever had, great value and loved the Lemonicello shots at the end! Everything is very nice it is just extremely noisy. Not great for conversations. I can not wait to go back here! Our waitress (Angela I think) was so much fun and right on the ball! My one complaint is that they do not serve fresh made spaghetti, linguine or fettuccine. Although they do offer some homemade pasta, it's just nothing I really care for. If that's my only complaint, they aren't doing too bad at all. Love this place! Until next time! This is a small restaurant, and we were sitting near the door which opened often so there was a frequent breeze. The noise level was quite high. If you're looking for a quiet dinner spot, this is not it. The food was very good and the waitress was quite a character. Overall good experience. Great spot that is close walking distance to Boston Garden. Went with another couple, and there was leftovers for each person that were just as good when heated up. Great "casual" atmosphere spot! Feel rush by the server. She came multiple time asking us, are we ready to order. Food is very good. Big portion side. Gave us a free limoncello based drink at the end of the meal. The food was very good, and our sever was nice and friendly! I got the gnocchi al dente and my boyfriend the eggplant parmesan. The gnocchi sauce (a mix of marinara and wine) was excellent, though there were a ton of mushrooms. The eggplant parm was really good as well. As others have noted, the bruschetta is excellent, and the table bread leaves a bit to be desired so definitely order the bruschetta right away and save your appetite for that to arrive! Overall, this was really good and I would definitely go back/recommend! The best, cheerful fast and delicious ! Huge portions. Our waitress was the sweetest ! As always service , food and staff are top notch. Excellent dining experience!!! This is our favorite of the many restaurants in the North End. Six in the party; all said the food was good but no rave reviews. Service was rushed; asked if we were done or wanted to take home left-overs as we were still eating. Amazing food and service. Great portion sizes, too! I will defintely be back very soon. Fantastic! Service was great and food was amazing! As always, Al Dente was amazing. Bruschetta was spectacular and our meals, including the seafood, were delish. When we have been in the past we are usually given some Limoncello for the road. However our guests hadn’t Ben before so didn’t miss it. Maybe next time. The staff are always super helpful, chatty and friendly! We will be back for our next birthday! My absolute favorite restaurant in the North End. Chicken buona boca (spelling) is fantastic as is the lobster ravioli, chicken parmesean... Really anything you get here you can't go wrong! The staff is amazing and make you feel like family!! I would eat here 10/10 times! Very nice family environment with with nice serving sizes and good food. The staff was very pleasant and checked in with us often. Food was delicious, service was fantastic. Small, cozy restaurant with a great wine selection. Best pasta I’ve ever had.